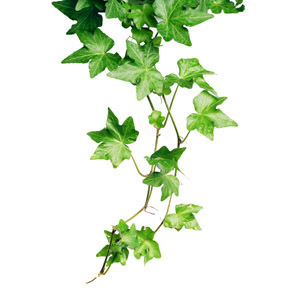 Ivy: An ivy vine signifies “immortality,” and it winds its way through all of the arrangements in “30 Years / 30 Lives.” It is the only plant that is common to all of the still life photographs. Calla Lily: The Calla Lily, native to South Africa, means “Magnificent Beauty.” In “30/30,” the Calla Lily signifies Wola Nani, whose work to embrace and develop one another is uniquely South Africa’s gift to humanity. Chrysanthemum: When white, the chrysanthemum signifies “truth.” In “30/30,” it signifies the Treatment Action Campaign’s opposition to AIDS denialism as well as its efforts to ensure equal access to treatment. Hibiscus: The hibiscus is a flower that symbolizes good health for its health restoring properties. In “30 Years / 30 Lives,” the hibiscus signifies Inzame Zabantu, “the people’s initiative” clinic, that restores visitors to good health. Lily: The lily is a symbol of “hope.” In “30 Years / 30 Lives,” the lily represents the Organización de Médicos Indígenous, through which herbalists, midwives, and health promoters serve and educate indigenous communities in Mexico. Lotus: Because the lotus emerged from mud to bloom into a magnificent flower, the lotus flower or water lily represents Ikamva Labantu’s senior programme which recognizes the wisdom our elders impart. Orchid: Also representing “innocence,” the orchid is a symbol of “strength,” particularly in a situation of fragility or vulnerability. In “30 Years / 30 Lives,” the orchid represents the New Life Center’s response to human trafficking. Nicotiana: The white tobacco flower is a plant sacred to the Mayan indigenous peoples of Chiapas. The traditional healers requested that it appear in the “30/30” still lifes representing OMIECH, because of its spiritual significance. Plumeria: The frangipani is a symbol of “shelter” or “protection.” In 30/30, it represents Yabonga’s efforts to “shelter” and “protect” those living with HIV/AIDS from shame and stigma through its educare programs. Rose: The rose, a symbol of “pride,” represents Open Arms of Minnesota—an organization that provides meals for people living with HIV/AIDS in the Twin Cities, where HIV remains prevalent in the gay community. Strawberry: The strawberry represents “good works” and, in “30 Years / 30 Lives,” it represents the Catholic-affiliated Scalabrini Centre because of the good works the organization performs for immigrants to Cape Town. Sunflower: The sunflower represents “faith by grace,” and represents the Presbyterian-affiliated Zwane Community Centre for its work in the HIV/AIDS community.